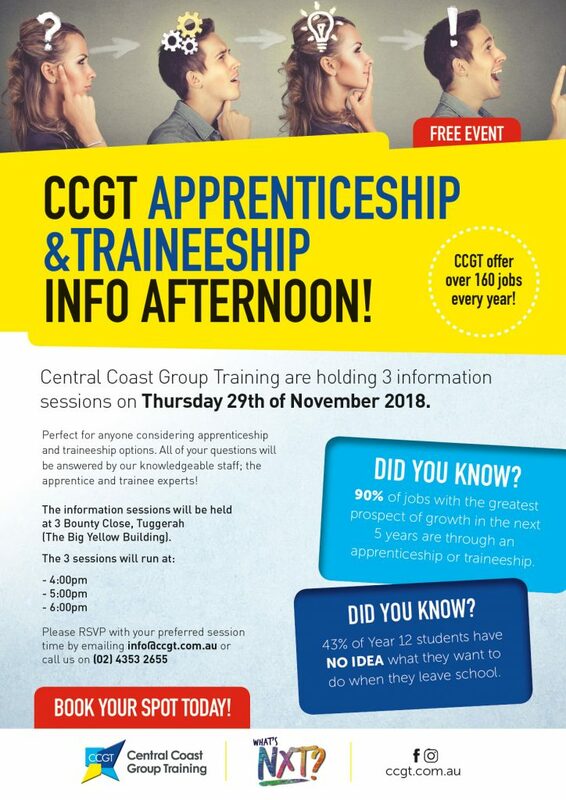 CCGT are hosting a FREE Apprenticeship and Traineeship Information Afternoon on Thursday 29th November 2018! 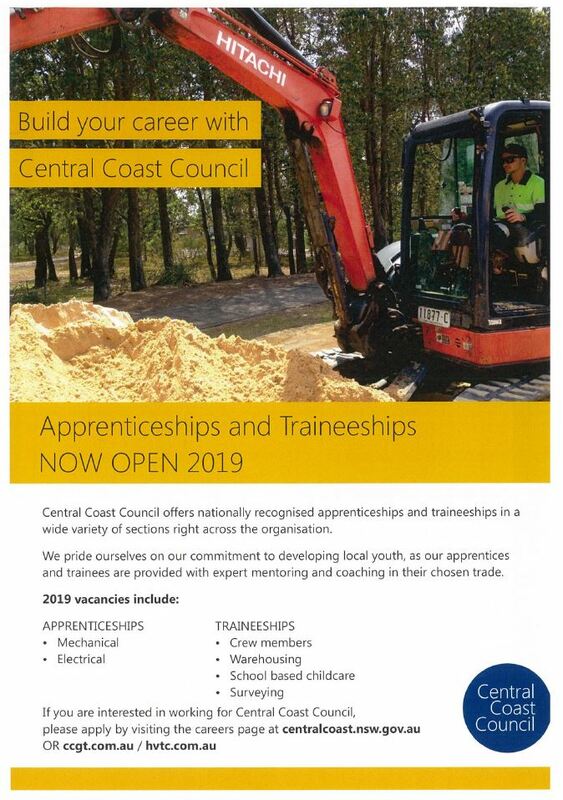 Ever wondered what it would be like to become an apprentice or trainee? Not sure about what career suits you and your lifestyle? You’re not alone, a staggering 43% of Year 12 students have NO IDEA what they want to do when they leave school! 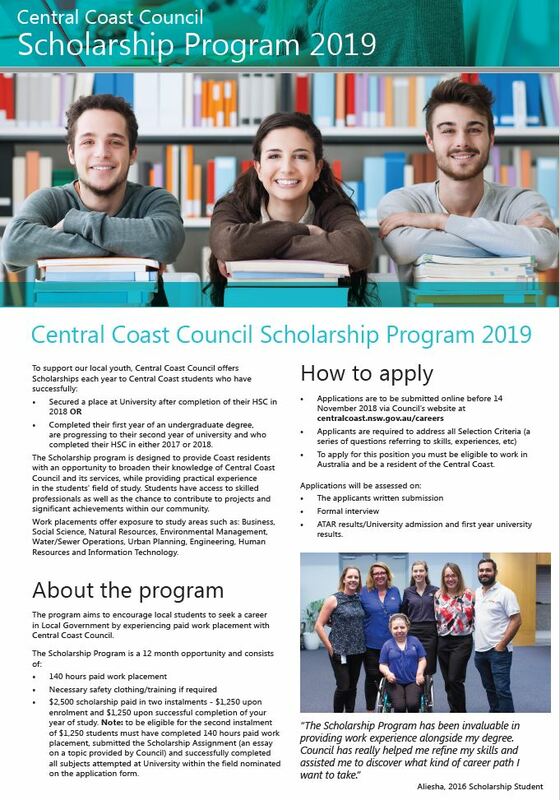 CCGT CAN HELP! Enjoy coffee and afternoon tea on us while you discover how easy it is to #design a future you’ll love! At ‘The Big Yellow Building,’ 3 Bounty Close, Tuggerah Business Park. Full details are outlined in the attached poster. If you would like any further information, please do not hesitate to contact us on 4353 2655 or reply to this email.